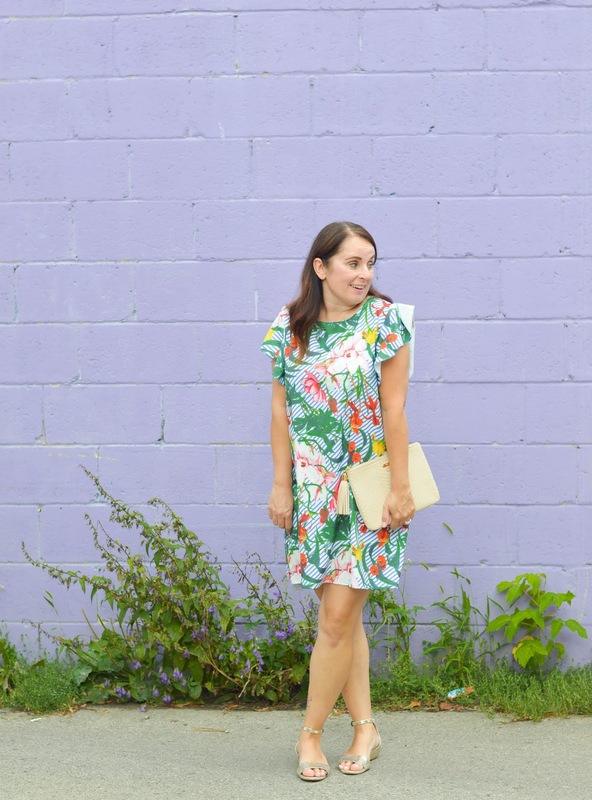 Oh my it's almost the end of August, and this summer has gone by way too fast (don't they always?). 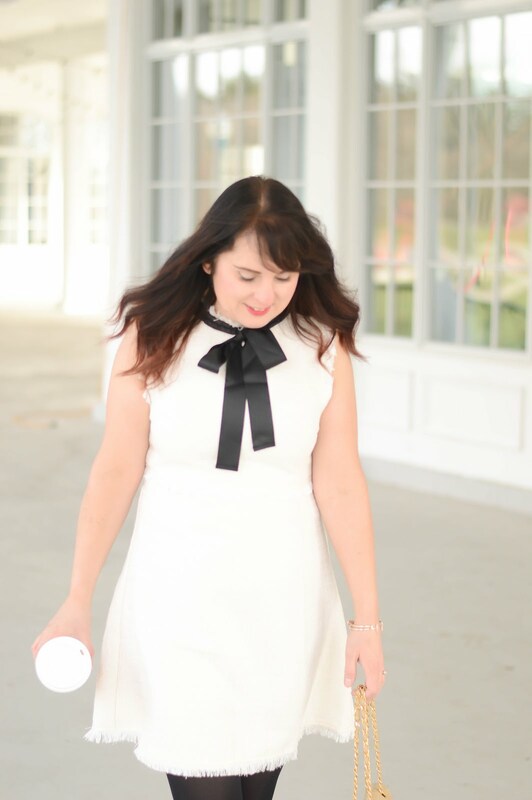 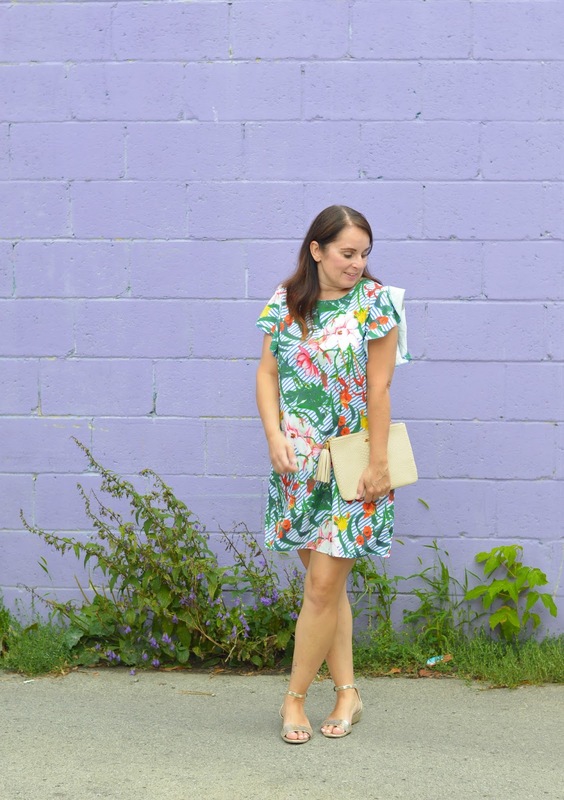 Every summer I seem to have a new go-to dress that I find I throw on and run out the door in. 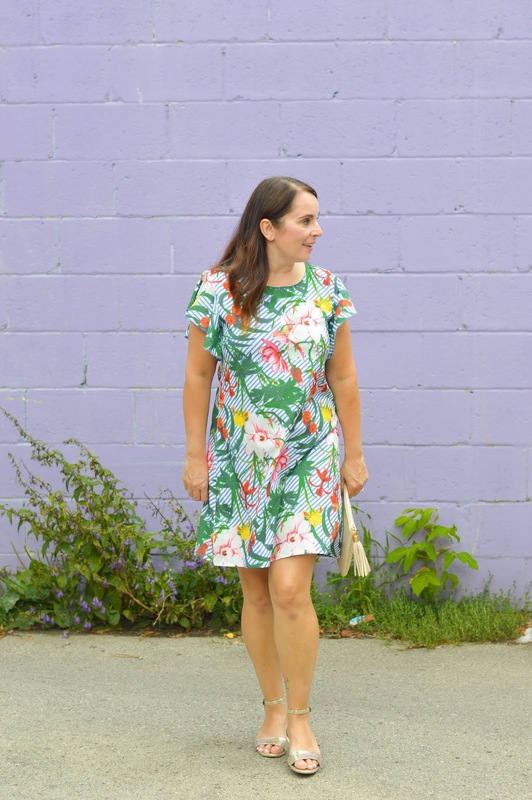 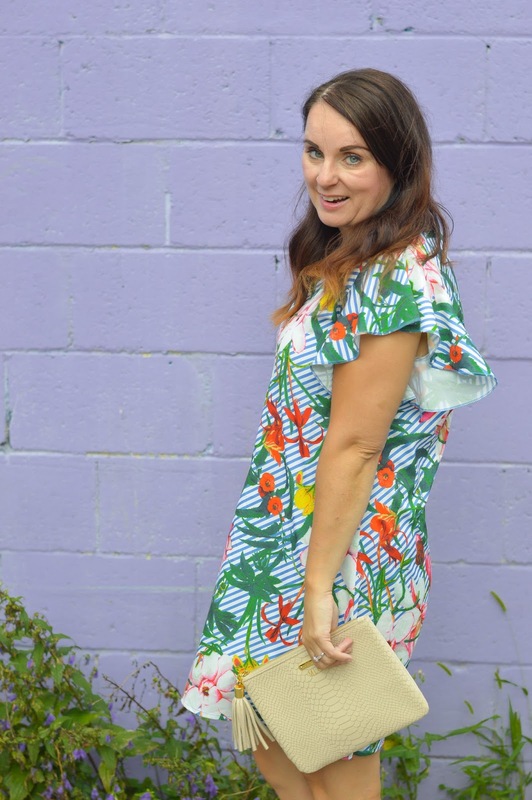 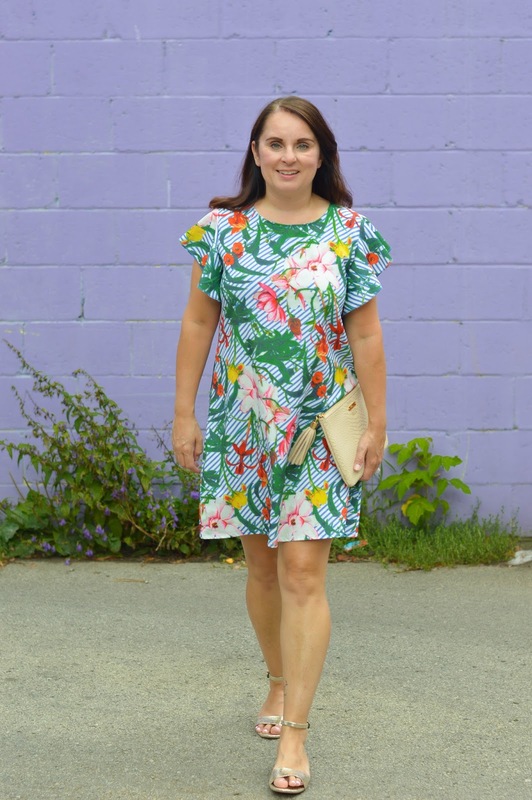 This tropical print dress has been perfect for my summer routine, it's light, trendy, and a great price point.